Texthelp, a language and literacy support software company, has just announced Teach for Google, a new, online, professional development resource for educators. It is designed to help educators use Google Apps for Education to increase student achievement. 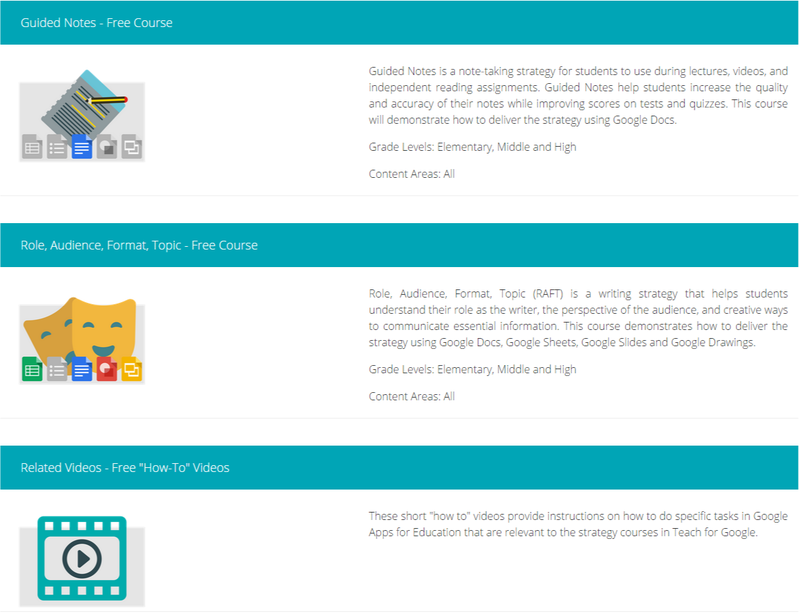 Teach for Google has short courses containging how-to videos, tips and tricks, checklists, templates and more to help teachers not only learn about Google Apps, but how to use them effectively in the classroom. The free version has 2 courses available as well as lots of how-to's for individual Google Apps. The Related Videos Section has how-to videos about Drive, Docs, Slides, Sheets, Forms and Drawings. You can also pay to access more courses. Texthelp is the company behind Read&Write for Google, a very popular app used in Education.